Smallbrook Care Home near East Grinstead and Felbridge, specialises in delivering person-centred dementia care, as well as, specialist care for the frail and elderly. Smallbrook Care Home is set in beautiful mature grounds and located less than 20 minutes away from the centre of East Grinstead. 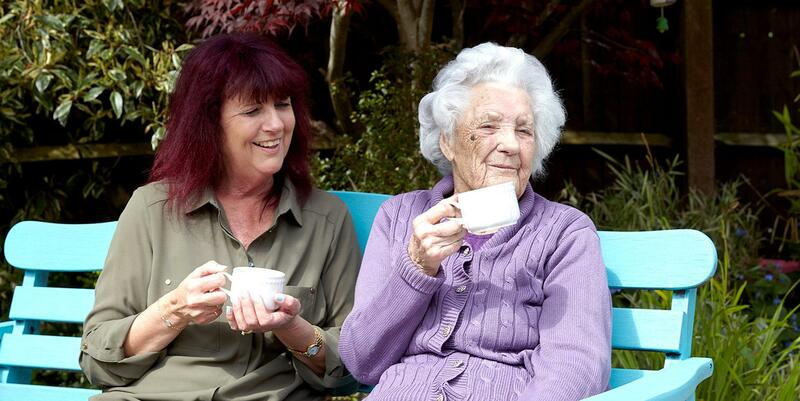 At Smallbrook, we strive to create a centre of excellence for dementia care. Our staff are passionate about what they do and the environment is warm and friendly. One of the main goals at Smallbrook Care Home is to enrich our residents life through creating individually tailored care plans and a wide variety of activities. At Smallbrook, we believe in creating a community feel, where our residents build friendships with each other and with staff. We have a team of highly skilled professional qualified staff who deliver 24 hour care, as well as a team of lifestyle co-ordinators who encourage residents to participate in hobbies and games. We bring in outside entertainers and also arrange excursions and shopping trips to nearby locations like East Grinstead town centre. The residents play an integral role in choosing the activites and entertainment. A key aim is to inspire our residents to lead as fulfilling and richer life as possible surrounded by exceptional staff who love what they do and are dedicated to delivering an outstanding level of dementia care. A welcoming environment in which residents can enjoy daily life feeling safe and reassured. Our home is nestled in a quiet spot less than 10 miles from East Grinstead in Horley, Sussex. We believe we have a special setting here at Smallbrook with beautiful mature grounds, which are both intimate and communal. In the spring and summer our residents like to spend plenty of time outside in the gardens enjoying the fresh air and open space. Good nutrition is essential for health and wellbeing so we employ our own in-house chefs who provide delicious home cooked, nutritious meals, snacks and refreshments for our residents. These can be enjoyed in our sociable dining spaces including our communal dining halls and bistro areas - click here to find out more and see a sample menu. Community is very important to us at Smallbrook. Our accommodation is warm and spacious designed specifically to create open, inspiring communal spaces for our residents to interact in and enjoy their daily life. Our lounges are homely and comfortable - safe spaces for residents and their loved ones to relax and enjoy each others company. The ensuite bedrooms are generously sized, clean, comfortable and modern with plenty of space to add that personal touch. All our facilities are designed to ensure residents can go about their daily lives whilst maintaining their individuality, dignity and respect. With specialist training in both dementia and frail/elderly care, our staff have a deep understanding of our residents needs. Compassionate and supportive, our team are exceptional at providing the highest quality of care whilst assuring each resident’s individual and lifestyle needs are met. Our lifestyle coordinators organise a huge variety of daily activities based on each resident’s individual hobbies and interests. Gardening, painting and baking are to name a few as well as plenty of walks and outings. We put a great deal of investment into organising stimulating daily activities that allow our residents to interact and pursue individual interests. We want our residents to have as much fun as possible whilst leading fulfilling and happy lives!